It is not beautiful. My folds are extremely uneven and I tore the crane in two places that aren’t visible from the top. 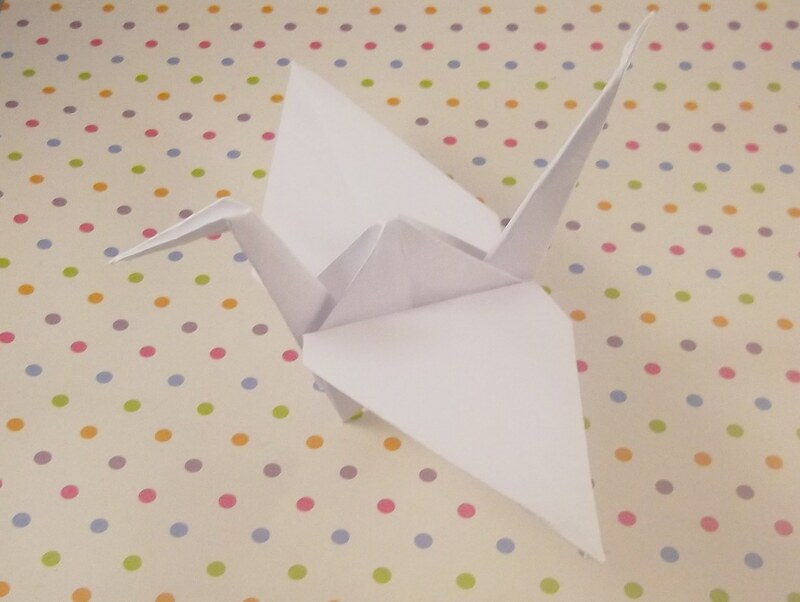 Despite these criticisms, the next crane I fold will be using precut origami paper.